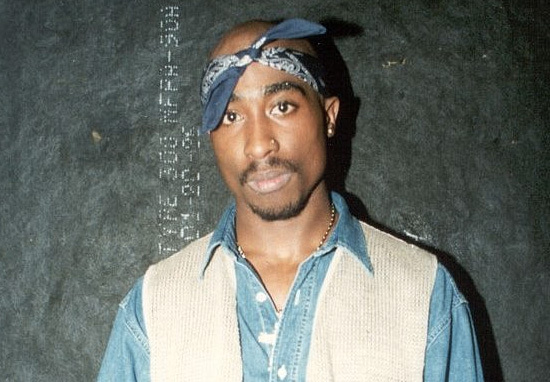 In the 22 years since rapper Tupac Shakur passed away, there’ve been plenty of conspiracy theories circulating which suggest he’s actually still alive. Fatally shot in a drive-by shooting on September 7, 1996, a murder suspect has never been confirmed, which has led to many speculating the rapper was never killed. Now, according to locals, Tupac is reportedly still alive, living a quiet life in a small Cuban town. A video shared on the YouTube channel, CharlieBoyTV – which claims to be ‘the home to all entertainment, hip-hop and reality TV’ – sees a crew walking around the village chatting to locals. Showing them photos of Tupac, the crew asks the locals if they’ve seen him, being told yes, ‘around old Havana’. Some even give directions to locations where they’ve supposedly spotted the rapper. Of course, this isn’t exactly concrete evidence, especially since the crew were showing the locals photos of the rapper which had been taken over two decades ago. If he is still alive and living incognito in the town, I really can’t imagine he’ll look like the Tupac seen in the pictures the crew found on Google Images. Still, with the video receiving over 54,000 views at time of writing (October 13), some fans are clearly convinced. The video follows recent claims by former Death Row Records CEO, Suge Knight’s, son who posted a series of messages on Instagram. Knight’s son, Suge J. Knight, took to the social media platform earlier this month (October 2) to tell his followers he firmly believes the rapper is still alive. Firstly sharing a quote in front a picture of Tupac which read ‘never stop trying. never stop believing / never give up. your day will come’, Suge then posted a photo which simply stated ‘Tupac is alive’. The posts have now been deleted. Knight then shared screenshots of conversations he was having with an anonymous person. Following this, Knight shared a photo implying the illuminati are after him saying ‘I’m safe and just know it was self defense #killuminati’. Just know. They been tryna destroy powerful names and legacies. I saw what I saw and they saw me. While Knight then later posted on his Instagram story that ‘Tupac is in Malaysia’, this contradicts what the CharlieBoyTV video and other conspiracy theories claim. Last month, Michael Nice, a British conspiracy theorist who claims to have helped Tupac fake his own death, also claimed the rapper is alive and well in Cuba. Well if you say so Mr. Nice, whoever you are! We Traveled to Cuba to Find Tupac in October 2018 And THIS Happened! Proof in HAVANA!! !